Freedom House has published its annual “Freedom in the World 2019” report. According to the report, although 2018 was the 13th consecutive year of democratic decline around the world, some countries recorded unexpected improvements last year. The report also lists Armenia among those countries. 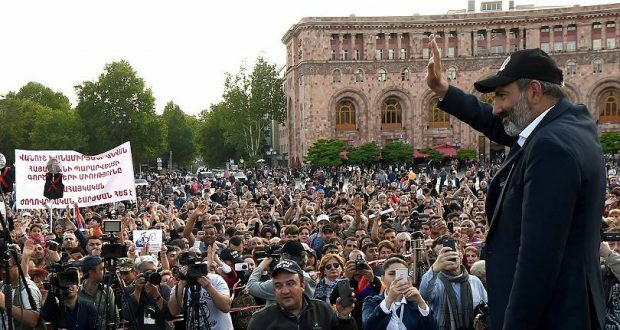 According to the report, massive nonviolent demonstrations forced the resignation of Serzh Sargsyan. After snap elections in December, a new reformist majority in the parliament has pledged to promote transparency and accountability for corruption and abuse of office. 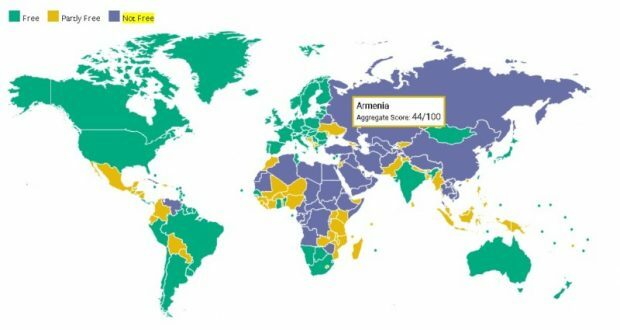 According to the Freedom House report, Armenia has registered progress in a number of political spheres in 2018. First of all, progress has been recorded in electoral processes. According to the Freedom House, the electoral processes in Armenia received the score of 6 on a 12-point scale. Moreover, according to the last year report, not only was this score lower by two points (i.e. it was 4) because of the 2017 parliamentary elections, but it was also lower by one point compared to the previous score. The report also highlights the difference between the 2018 and 2017 parliamentary elections. According to Freedom House, fewer violations were registered during the 2018 parliamentary elections compared to the 2017 elections. Freedom House also positively assessed the change aimed to fight election bribes in Armenia and their criminalization in September 2018. The political pluralism and participation score has also improved from 2 to 3 (from maximum 4 points) due to a decrease in government and ruling party interference in the peaceful political activities of rival parties and movements, including pre-election campaigning. Nevertheless, the report also points to the continuity of certain issues in the country. 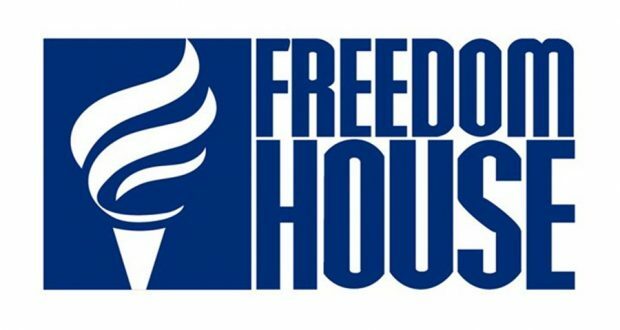 Among others, Freedom House has pointed to issues such as expression of religious faith or non-belief, openness of academic institutions to political influence, low level of trade union rights, independence of judiciary, imperfections of the law on domestic violence, and low representation of women in political processes. The report notes that in a number of Eurasian countries, the ruling political elite continued exploiting the advantages of incumbency to maintain their grip on power while Armenia broke that pattern with the ouster of its unpopular leader and the election of a new, reform-minded government. It is noteworthy that Armenia’s overall score has improved from 4.5 last year to 4 (on a 7-point scale, where 7 points are given to least democratic countries, and 1 point is given to the most democratic ones). This is the first major positive change in Armenia’s democratic processes recorded by Freedom House in the past ten years. Last time freedoms in Armenia received the score of 4 in 2004. Since 2005, Armenia’s democracy score has not improved from 4.5 points. 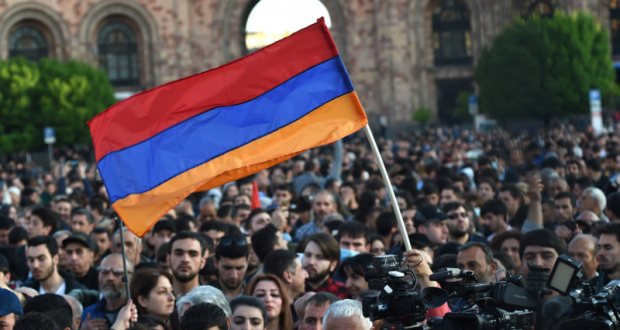 It is also noteworthy that Freedom House’s report calls on supporters of democratic processes in the world to promote democratic reforms in Armenia.